The weight of our voice is measured through the mandate we requested for serious SFA reform. It is measured by signatures on the petition and we’d be grateful if you’d sign and share this to help us bring about effective change. Football is part of the very social fabric of Scotland. We love the game and for a nation our size, regularly top charts of the most engaged supporters and spectators at games. That level of engagement hasn’t often (some notable club successes in Europe aside) translated into an awful lot of success for us outside of Scotland. Football clubs have always held a special place within local communities. Fan organisations reinforce this sense of belonging and most particularly so when they have reason to pull together for something. The bigger clubs – Aberdeen, Celtic, Hearts, Hibs, Rangers etc – are more than just community clubs but national institutions. They often draw support from much wider communities and even abroad. This article is about Fan Representation though and that passion and football being interwoven into our lives is why it is important. It matters to us in the same way healthcare, independence and brexit does. What we don’t get with football though is any sort of meaningful say in it. Football is undemocratic and we sit back and take it. That social and community aspect of football is a two-way street also. The clubs and the SFA have a duty under that social/community aspect to treat it responsibly and add value. Done well its a symbiotic relationship with pride and benefits for both. Done badly its parasitic. Draw your own conclusions on where your club and your association fall on that scale. Fans control the lifeblood of the game though – all the money that flows around the game starts with the fans pockets in one shape or another. If enough people want something – it happens. I’m asking your help to try to make a better tomorrow for us fans, for our teams and for our communities. To take responsibility ourselves the way we do in so many other areas of our lives rather than meekly accept being dictated to. Football itself has become distorted and polarised by wealth division, which becomes like a self-fulling prophecy under the existing wider context of football (the rich keep getting richer). The marketplace for players has altered unrecognisably and shared club ownership models distort things further. 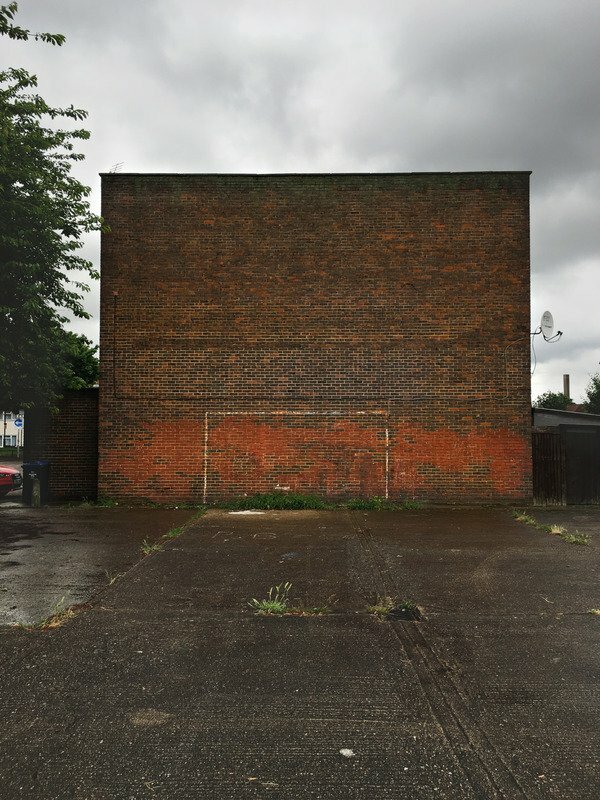 The ‘capitalist’ model of allowing might-is-right to dictate worldwide football has only lead to ruthless commercialism and bastardisation of the game at the expense of the real social and community aspects. Fan representation at a macro level allows real balance to be brought into football by the collective will of ALL football fans – within a given competition and globally. When viewed through the above prism its hopefully obvious why we feel the catalogue of failures of the SFA listed in our petition (linked again – please sign it!) can start to be addressed largely through embracing fan representation and why the sport itself benefits from embracing it. It is an inevitability and Scotland can choose to get ahead of the curve. There are successful fan ownership structures in place in many other countries – perhaps most famously in Germany and Sweden where clubs are required to have 50% of the voting rights plus 1 vote in the hands of their fans. As a proof of concept its there and its working for fans up and down the countries. In Germany fans often stand shoulder to shoulder to stand firm on things like kick-off times and ticket prices now. This did not just happen in Germany because everyone involved thought it was a good idea. Football is riddled with vested interests. The fans fought tooth and nail for it knowing that in the end – he who holds the revenue streams has the final say. The Soci model popular in Spain has also had some success, though seems to only really work for the very large clubs. The Scottish Supporters Network carried out recent research on fans opinions about whether Fan Ownership at clubs can work in Scottish football. The public opinion was overwhelmingly an “aye”. So if its wanted and its a good thing, why isn’t it happening? Lets look at what has happened regarding fan ownership in Scotland. Any movement towards fan representation has been organic rather than supported and strived for within the status quo of Scottish football. It is perhaps no surprise then that where steps towards fan representation have been taken it’s largely been in response to a financial crisis and takeover by a new regime. Normally a football team hitting the skids will leave a hole too big for that community to contemplate facing. Think about this: most football supporters will have been with their club considerably longer than they’ve been with their partner. Some would even tell you its a deeper love. Where there is a changing of the guard regarding a club, the prospective new owners know the importance of the supporters engagement in making it happen and retaining a viable club afterwards. We’ve seen this played out at some of our biggest clubs – Hearts and Rangers – in recent years. But when you look at those that do have reasonable levels of fan representation, there’s a clear correlation between fan ownership and insolvency events/financial distress. For the purposes of illustration and easy reference here I’m going to use the figures provided in the Index compiled by Supporters Direct which is mainly 2017 figures. What is shows is that the only fully supporter owned club in senior football is Clyde, a club whose fans referred to themselves as the ‘Gypsy Army’ in reference to their homeless years and whose Supporters Trust acquired the club for a nominal fee in 2004 to save it from going under. The club is now a Community Interest Company. There are two further clubs in which Fan Representation is over 50%. The first is Motherwell, a club that went into Administration in 2002 and didn’t exit until 2004, became the first real Fan Owned club in the top flight in October 2016 when the Well Society hit a £1 deal to buy Les Hutchison’s shares. The joined an elite group including Stirling Albion – the very first in a £300K deal in 2010 after narrowly skirting liquidation due to tax debts and Dunfermline Athletic who had entered Administration in 2013 to be rescued by Pars United. Notable top flight mentions also go two other Administration Veterans. Dundee who have 27% held by a fans society and Hearts who have an agreement whereby the 79% currently held by Bidco (Anne Budge) will eventually revert to fan ownership. Hearts of course had their own flirt with financial disaster during the post-Romanov disaster and Dundee did likewise, having to sell their stadium in the years following Cannigia, Ketsbaia and Ravanelli amongst others wearing the Dark Blue. A peek at Celtic and Rangers shows that there are vast amounts of small shareholders, many of whom will be fans, but who do not act in concert in the interests of fans as a whole. Rangers have a relatively small but growing organised supporters Trust which owns a small percentage of the shares that they hope to grow. The birth of that fan ownership at Rangers traces back to the liquidation of the Oldco and a desire that such mismanagement should never be allowed to happen again. Despite all this, and the importance of fans, still there are relatively few clubs that have a fan presence on the Board. Of the top flight clubs less than half have a supporters representative on the Board and notably Celtic is not one of them. Those that do are familiar from the preceding paragraphs – Dundee, Motherwell, Hearts, Rangers – while Hibs (despite the supporters society holding just 10%) also have a Board representative. Perhaps the early 90’s prospects of a Wallace Mercer led merge with Hearts still hangs a shadow. In the case where a football club does die and a new Phoenix club emerges to fill the vacuum left behind; its ordinarily a pre-condition of association and league membership that the football creditor rule is applied meaning the new club must meet the footballing debts of the carcass left behind. Often local businesses (and this goes for admin/CVA scenarios too) suffer financially from the discarded debts while the football industry only suffer reputational damage. Each incident tarnishes the standing and reputation of the game that bit more, making it difficult for the game as a whole to be competitive and respected. What is clear from what we see here is that supporters need to do it for themselves and financial meltdown is often the catalyst. A responsible regulator of the Scottish game might take a more proactive approach to achieving such a desirable change. However since our regulator has not even taken a proactive approach to financial responsibility at football clubs (such as introducing Financial Fair Play concepts to the domestic league) perhaps they are hoping a continuing series of financial disasters will do the job for them. There is no reason why a staggered and incentivised model of encouraging combined fan community ownership cannot happen other than the inevitable consequences for the SFA themselves. They are a dictatorship and this is democracy. It will topple them in the end. They are self-serving – the longer they string it out, the longer the gravy train is full of jus. Fan Representation isn’t just a matter of club ownership though. It extends to fans being recognised as stakeholders in the game by the ruling Associations. For the self same reasons discussed earlier fans organisations deserve a right to be heard within the regulator themselves. Their voice is a conspicuous absence right now within the Professional Game Board (where players and managers are also without a voice) and the SFA appear not to want to do anything about it. The reasons should be obvious. It would be dangerous to those with a vested interest to start allowing democratic influences in. Yet if the Scottish government cannot tackle the issue of FIFA’s cartel rules regarding undue influence, its possible the EU might be our saviour depended on the relationship we keep following wherever Brexit/IndyRef2 takes us. As I’d alluded to in the title to this piece, the direction of travel is unstoppable and FIFA, UEFA and all the Associations might hold on to power and self interest as long as they can; but in the end it is the people’s game and it needs to be run for us all. By exercising those democratic rights we can speed things along. 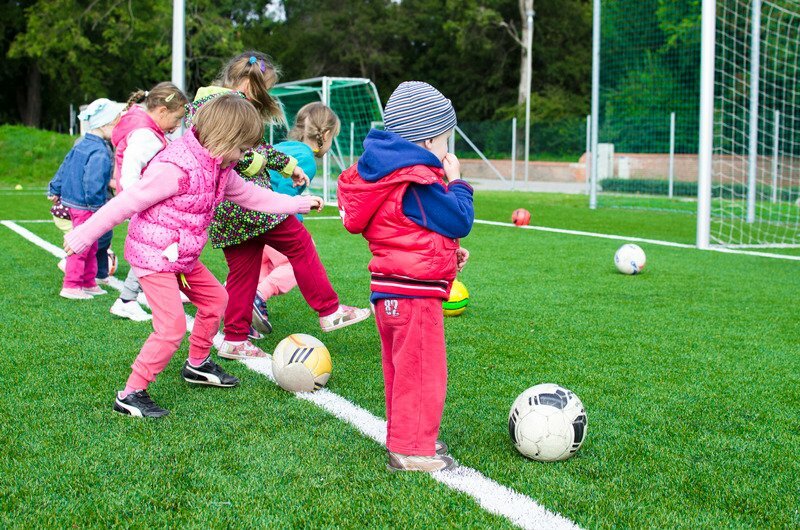 Member States and sports governing bodies are to actively stimulate the social and democratic role of sport fans who support the principles of fair play, by promoting their involvement in the ownership and governance structures at their sports clubs and as important stakeholders in sports governing bodies. I’d like to cap this section on Fan Representation within the Association by noting the dysfunctional and highly criticised way that the SFA is currently being perceived to be run. The Committee system is paralysed by self-interests and incapable of making any meaningful reform or change. It gets by through grubby deals being done in order to make things happen. We’d written before about a possible alternative way to structure this that I feel deserves to be read and discussed. It can be found here and proposes a new model for the SFA that would entail elections by members (including fans) for fixed terms with inbuilt mandates to pass reforms. In due course we aim to flesh out a proposal for how a fit-for-purpose football regulator might look that embraces football fans, players and managers as stakeholders in the game. There is a basic disconnect between club owners and fans (including organisations and trusts). Owners often treat clubs as a business proposition because their own investment is at stake. Often they can take for granted that the fans are often not only their important customers, but co-investors. Whether that’s direct investment via shares/debentures etc or the time, love and loyalty; they are bought in and engaged in the aim of achieving success. On the other hand fans often see the major investors as being too consumed with corporate success rather than on-field success. They can be demanding of the amount that should come out of others pockets and scathing when they feel short-changed. In business it is now considered dynamic and engaging to reward incentivise employees with an interest in overall performance. In football giving fans a say in the sustainable management of the club they love ticks many of the same boxes. By engaging fans in ownership and real say, clubs can start to make longer term financial plans and carry them out with the blessing of their customer base even where it causes short term on field performance drops. Likewise, fans can gain an understanding of the real world practicalities and pressures they are often excluded from and a better gauge of the sustainable stewardship of their club. Communication becomes in-built rather than a painful – often confrontational – necessary task. Other nations as we’ve touched on have managed to integrate fan representation into their clubs with varying degrees of success. Part of that may be down to the culture and history of those peoples themselves and we’ll explore the international elements and comparisons of models in Part 2. In Scotland we are used to being dictated to by authorities and ordinarily fans being given very little say in anything to do with the running of the game. We are used to being divided and tribal. But that’s also what makes our game passionate, colourful, beautiful and authentic. If we can keep that but stand together on the matters that affect us all, there’s could be a great future ahead. The game day experiences can be celebrations and the game can be run for the people it really matters to. Money doesn’t buy those sort of experiences – delivering what the fans want does. So until I get get part 2 written up I’d ask that you consider what really matters to the footballing ‘consumer’. For example – Will Premier Sports subscriptions make for a better footballing product in future through the slightly better players the money puts on the park? Would you trade a % of your teams budget for better kick off times and cheaper tickets to watch the game if your competitors did too? Would you want to see safe standing areas in your team’s stadium? Would you like the right to choose for yourself the answers to these questions?